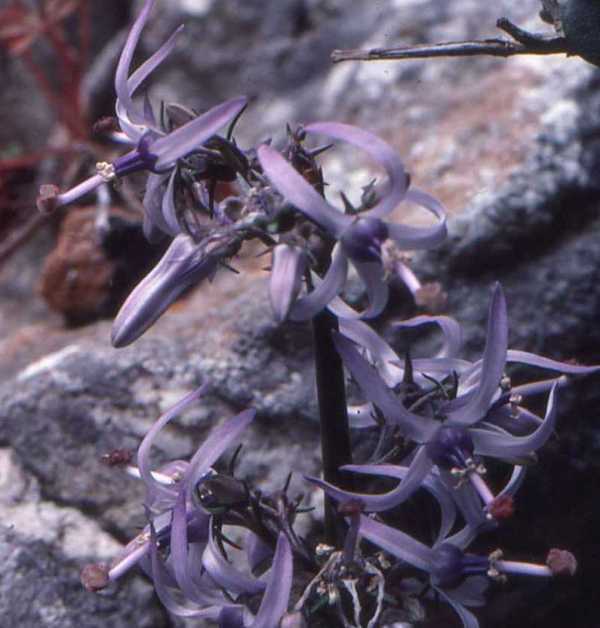 The flowers of Petromarula pinnata vary from a lovely blue to almost white with just a hint of blue. 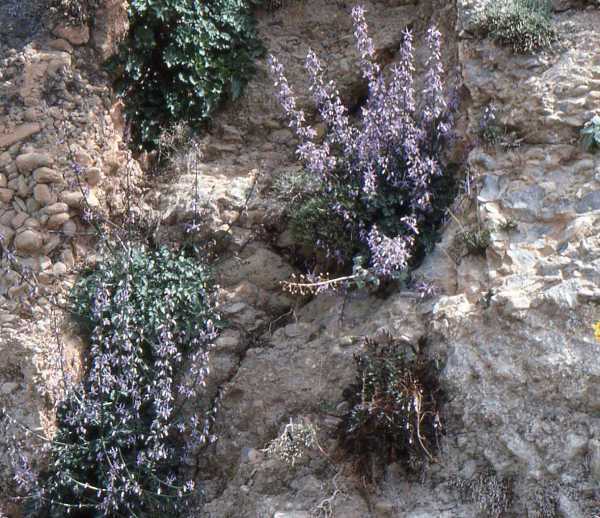 This beautiful plant is endemic to Crete and grows high up in rock crevices, on cliffs and on old walls. 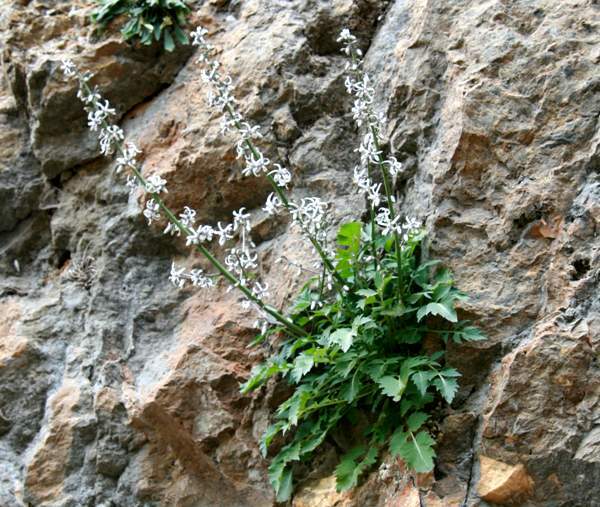 Rock Lettuce has a very short flowering period, and so you need to be in Crete in April or May to be reasonably sure of seeing it.